Enjoy your days living a lakefront community lifestyle on Norris Lake. Retire in Tennessee with the privacy and seclusion you've been looking for. The philosophy of the Peninsula. 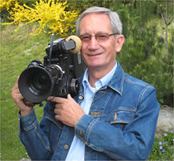 As a producer and director of many award-winning TV documentaries, Henry Materna has traveled around the world for 35 years and has seen many fascinating places. But when he visited Norris Lake, he fell in love with this indescribable setting. Materna immediately knew that this was where he wanted to be. He purchased 450 acres in Lafollette, TN to create an exclusive lake front community to blend in with the incredible beauty and serenity of this natural jewel. This was the vision a few years ago. This vision is now coming true. A string of dream lake homes have become a showcase on Norris Lake. To accomplish this, the Peninsula has applied restrictions which not only protect the investment, but considerably increases the value of the properties. Unlike some developments, there are no rental programs, no condominiums, no two-bedroom villas or cottage-style cabins, just attractive single-family homes that match the breath-taking scenery. If you are looking for something special on Norris Lake, the Peninsula may just be the perfect place where dreams really do come true. What makes the Peninsula at Norris Lake so special? It's not just the awesome vistas of Norris Lake and the Cumberland Gap Mountains that bring distinguished lake home buyers to the Peninsula. They want a place to relax, a sense of privacy, and equally important, the protection of their investment. The developer and his son, who is an architect, only allow custom-designed houses with a minimum of 2,900 square feet to be built. This ensures only homes of the highest quality are built so that the properties increase in value over time. To make certain that the Peninsula lakefront community attains the uniqueness conceived by its founding members, only single-family, custom-designed homes will be built. No condominiums, villas or rental programs will be allowed. Unlike most gated communities developed around lakes, only part of the 450 acres of the Peninsula will be developed for residential and recreational use. Only homes of the highest quality are built to protect the value of your investment. The Peninsula offers a variety of lakefront lots to build your dream home on Norris Lake. The family has been residing here since 1975 and will continue to do so. Materna is committed to the Peninsula and its residents to make sure that the Peninsula will remain a premier development. These are some of the reasons why the Peninsula is a place on Norris Lake like no other. So come and see for yourself! Schedule a private tour today! Schedule a Norris Lake property tour at the Peninsula by calling (865) 719-1202. The Peninsula is a private gated community. To arrange a personal tour and view available lake property for sale on Norris Lake please give us a call.